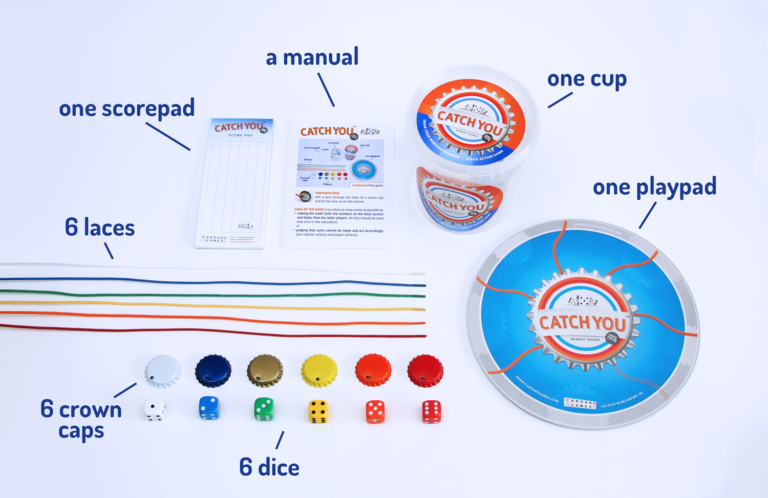 The game CatchYou™ is designed for use at school and to play at home and for leisure. It can be used in 1-to-1 teaching and with groups of max 6 players of all ages. All players stay active during the game. The game is fun to watch and rules can be adapted depending on the capacities of the players. Players will learn to develop approaches to solving math problems faster. Players will influence each other in a positive way. Dice play the most important role in the game. Dice are played for centuries. All other materials used are simple as are the rules of the game.